Your skin has small openings on its surface, called pores, leading into sebaceous glands that secrete oil for skin protection and lubrication. Most skin pores are barely noticeable to the naked eye, and we pay them little attention. Except, that is, when we see them staring back at us in the mirror like so many moon craters. In my late thirties, I used to have this very problem. No more. While it’s commonly accepted that pore size is genetically determined, several other factors most likely contribute. Hormone imbalance may play a role in excessive oil production, promoting pore enlargement. As skin ages and loses collagen, pores become larger, continually trapping more and more dead skin cells along with oils, which plug and stretch the pores even more—a vicious circle. Enlarged pores almost always go along with an oily skin problem. The odds of having dilated pores are not in your favor if you struggled with acne as a teenager and attacked the problem with your bare hands. Sun damage to the skin can also factor into pores becoming more visible. The way to a beautiful exterior always starts inside. Before you see perfect facial skin, your liver, stomach, colon, pancreas and other internal organs must experience a state of health. Since you are constantly building and re-building your cells with the help of the foods you consume, diet is the number one player when it comes to addressing any health or cosmetic issue. If you are already on a raw food diet, you’re ahead of the game. Make sure you drink fresh, predominantly green juices regularly. Take a look: The skin of frequent juicers is vibrantly alive, healthy looking, and clear. A glass of juice has more potential for your skin healing and rejuvenation than any cosmetic procedure or pharmaceutical product you might be tempted to try. Concentrate on foods that help rebuild collagen in your body, such as silica-rich radish, alfalfa, nettles, burdock root, romaine lettuce, cucumbers, tomatoes, bell peppers, sulfur-rich cruciferous vegetables (broccoli, Brussels sprouts, cauliflower, green cabbage), pumpkin seeds, hemp seeds, watercress and mustard leaves. Foods high in protein, vitamins A, C and E, copper, zinc and iron all play important roles in collagen formation. You don’t have to be formulaic—you’ll find that if you eat a wide variety of colorful raw foods, you’ll have your all your bases covered. Maintaining your raw plant-based diet is the foundation for any additional external approach you might take toward achieving beautiful skin. 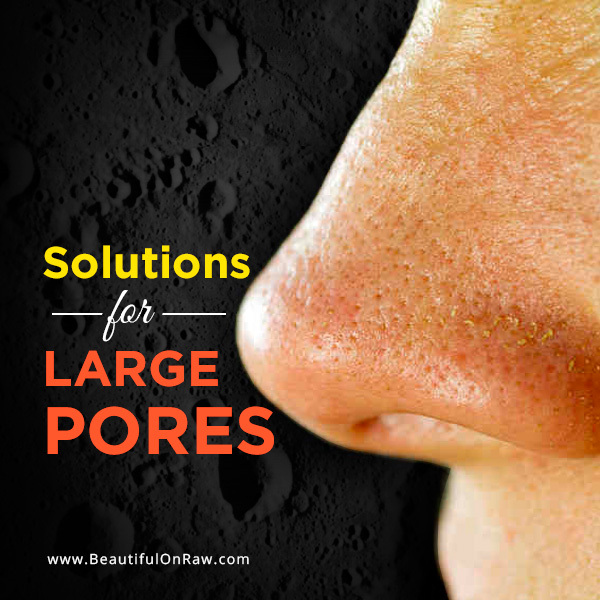 Enlarged pores can be stubborn. Commit to keeping your face as clean as you can, always. Experiment with diluted raw apple cider vinegar (1 tablespoon of vinegar for 8 ounces of water) instead of soap. You are trying to catch up with excessive oil production by removing dirt, oil and skin debris as soon as they are produced. Let them remain, and the pores become more visible. 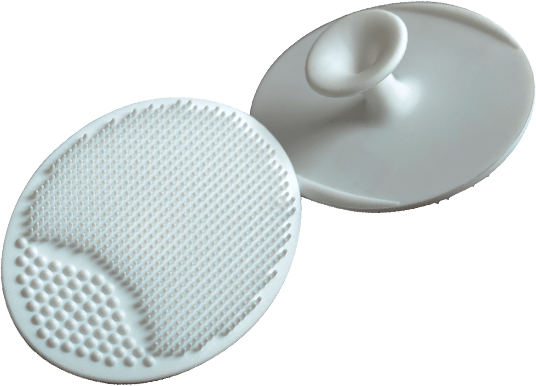 Unclogging your stuffed pores is the first step to diminishing their visible size. Steaming your face for a few minutes before cleansing it or applying hot towel allows the oil to soften, making it easier to remove from the pores. A clay mask offers a way to soak up oil, draw out impurities, and (as drying occurs) tighten the skin’s surface, making pores appear smaller. 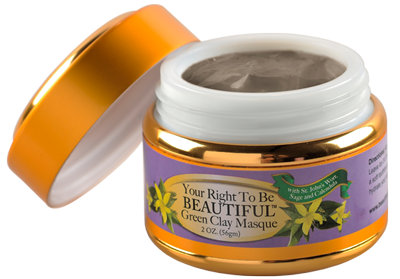 You might want to try our green clay masque. We’ve just received a freshly made batch. Daily exfoliation helps remove dead cells, thus keeping the pores on the small side. 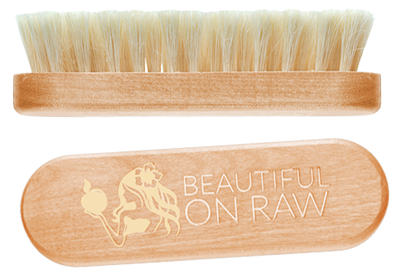 Dry brushing might bring the best results. Because of their astringent qualities, tomatoes help remove extra oil and reduce the apparent size of large pores. Cut your tomato into circles, place on your face and leave for twenty minutes. Rinse your face with warm water, then cold. As you move through your day, reach for a lemon slice and rub it over your face. Lemon juice is a natural cleanser and purifier, with the ability to tighten skin and shrink pores. 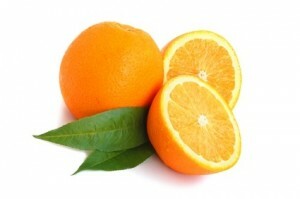 If you’re peeling a grapefruit or an orange, rub the inside of the peel on your skin for a similar cleansing effect. Experiment with cucumber, too: Feed your skin by rubbing it with one slice, and eat the rest. Mix 2 tablespoons of baking soda with a little water to form a white paste. Apply the paste to your face and let it dry completely. Wash off with water. Whisk the white of one egg until it forms a foam. Add a teaspoon of warmed raw honey, and the juice of one lemon. Mix well and apply to the face for half an hour. Once it’s dry, wash the mask off with warm water. Mix two egg whites with a quarter cup of fresh orange juice. Apply to the face and leave for fifteen minutes. Remove with warm water. Rub your face with salicylic acid, a 2% liquid solution, at bedtime, then apply moisturizer to avoid excess dryness. This will moisten your skin, neutralize bacteria and shrink large pores. Combine 3% hydrogen peroxide with distilled water, a 1:1 ratio. Pour this into a spray bottle, and spray on your face after using any mask or scrub. Avoid getting it into your eyes! When it comes to highly visible, bigger-than-usual pores, prepare for your solution to take some time. Thorough transformation on a physical level takes both time and commitment. That said, a combination of a raw food regimen and a consistent skin care routine, tailored to your particular skin issues, is the safest and most natural route to take in caring for your body and realizing its innate health and beauty.